Dr. R. K. Jaswal, MBBS, MD(Medicine), DM (Cardiology), is an Additional Director - Department of Cardiology at Fortis Hospital, Mohali. Prior to joining Fortis hospital, he was associated with Mukat Hospital & Heart Institute, Chandigarh as a Senior Interventional Cardiologist. Dr. Jaswal is an alumnus of Government Medical College, Amritsar, from where he has achieved his undergraduate degree(MBBS) and post graduate degree in Medicine.Thereafter, he accomplished superspecialisation in Cardiology from the prestigious institute, PGIMER, Chandigarh. Subsequently, he joined the Deptt. of Cardiology at Indira Gandhi Medical College, Shimla. During his stay there, he was sent to AIIMS, Delhi for training in invasive cardiology. During his acclaimed professional career spanning 17 years in interventional Cardiology, Dr. Jaswal has performed more than 24,000 Invasive Cardiology procedures and 12,000 Cardiac Interventions, including high-risk Coronary Interventions. He is highly experienced in Transradial techniques, with over 14,000 Transradial Invasive Procedures and over 7,000 Transradial Interventions, including complex Transradial Coronary Interventions, to his credit. Over the years, he has been performing all types of balloon valvotomies, peripheral angioplasties, device closures and paediatric cardiology interventions on patients from Chandigarh, Punjab, Haryana, HP, J&K, and Western UP. Dr. Jaswal has many research papers published in national and international journals of repute. He regularly participates in conferences in India and abroad as Teaching Faculty or in an advisory capacity. To his credits, his exceptional case of a single coronary artery supplying the entire heart was accepted and presented at Euro-P.C.R.D. 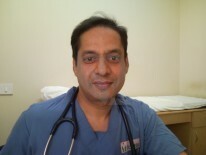 Invited as Advisory Faculty Member for Trans Catheter Cardiovascular Techniques 2010 at Washington, USA, and TCT 2011 at San Francisco, USA.